No good parent truly wants their child to turn out just like them. That’s not the goal. The goal is to raise healthy, happy, self-aware adults who figure out how to be true to themselves. We try to give them the best of the best- the best example, the best advice. 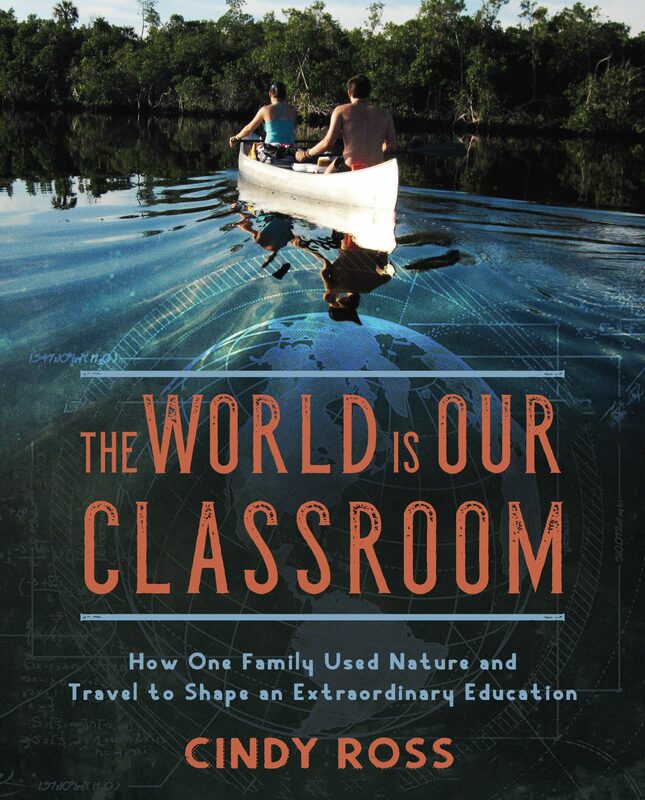 To Todd and I, one of the best things we felt we could give our children was a love of the natural world, take them there enough times and for long enough, that they come to feel comfortable and see it as their true home; that they choose to go there to find peace and rejuvenation, no matter where they live, or what their occupation. That was just one thing we wanted to pass on. There were lots others, like how to be kind and generous etc,. But as I watched our daughter Sierra, load up her backpack at the Willus Gulch Trailhead in Colorado, I couldn’t help but stare and was rendered speechless. She and her husband, Eben, of three years were heading off to hike a 160-mile loop, incorporating the Colorado Trail up to Twin Lakes and then doubling back on the new Collegiate High Peaks route. She had been planning this hike for the last few years, ever since she learned of it. She asked Todd and I if we wanted to join them, Ha ha! Tables turned. The kids asking their Triple-Crown parents to go on a long backpacking trip. We’d like to, but no, we were immersed in our own adventure- mountain biking the Great Divide Mountain Bike Trail, which they joined us on our first week. How strange. Twenty-five years later, here we are sending off our kids on their own backpacking journey, on the same trail where it all started 25 years ago, when Sierra was just three years old. Just before this, they were assisting us in our mountain biking journey on the Great Divide Mountain Bike Trail. I thought as I watched her shoulder her pack, cinch her waist belt and grab her hiking poles, glowing, happy, excited about the trail ahead, I got a little choked up. Circling back. This wasn’t the first time Sierra had returned to hike the Colorado Trail as an adult. Three years ago, she asked her then-boyfriend Eben to hike the entire trail. He consented because he knew what this sport means to her. At the high point on the CT, at Coney Summit, he got down on his knee and asked her to marry him. How appropriate…Sierra, Mountain Girl. When I posted a photo of Sierra and Eben on the CT three years ago, a friend from FB commented, “That’s not the first time she hiked the CT.” This friend was not familiar to me, as I have nearly 3,500 Fb friends. So I asked her who she was and how she knew that. And listen to this. She said that she remembers when we set out on our very first day back in 1992 on the Colorado Trail with llamas and our 1 & 3-year-old kids. She remembers explicitly because she met us, saw us. Her and her husband were heading up to man the fire tower near Waterton Canyon- where they were fire wardens. Of course, we were a sight to behold on that trail- not normal for a family of small children to be heading off on a 500-mile llama packing adventure. The fire warden said to tell Sierra and Eben to look them up in the tower- they are still wardens and would love to see them again, 25 years later. I am amazed at how this trail, this life, keeps circling back. Our whole mountain biking trip has been a series of circling back. To the same passes that we crossed, to the same town stops, to the same folks who helped us twenty-five years ago. Most are still here and welcome us with open arms. A few have sadly passed. I only mildly entertained the idea of writing a book about our Great Divide Mountain Bike trip. “You don’t need to write a book about everything,” Todd said. But so much is happening out here every time we come out to do a stretch. And so much reflection on life and all that has occurred since. This whole idea of circling and cycling back is fascinating. We resupplied Sierra and Eben on Cottonwood Pass, after we were done with our mountain biking for the summer. We drove up the long, winding road, while the sky in every direction filled with navy blue and purple storm clouds. “Oh, my child”, I thought. “Please stay safe”. I thought of all the bad and scary things that could happen out here- many which have already happened to Todd and I on our 10,000 miles of backpacking experience. For example, on their way down to the trail, Sierra and Eben had stopped at a Forest Service campground by the road, full of RV’s. But that night at 3:30 am, Sierra got woken by a bear, who was laying on top of her, collapsing the tent, slicing through the fly with its long sharp fingernails, breathing heavily millimeters away on the other side of the nylon. She was terrified. It left finally, probably just curious, as there was no food or toiletries in their tent. I was worried they would be too traumatized and want to throw in their plans of hiking this loop, but they recovered. On the ridgeline above Cottonwood Pass,I searched the heavens, wondering if it would unleash before the kids arrived at the pass. Todd and I stood atop the ridge and searched over the land. for them. Then, two tiny figures, one had a high vis yellow shirt in the rear, like Eben had been wearing. I screamed, “HELLO!” and wildly waved my arms. They stopped and yelled back, waving their arms. Even though they were tiny specks, I recognized my daughter’s gait from very far away. She is my child. My heart leapt out of me and went down to her. When they got within ear shot, she screamed, “We ran out of food, we’re starving!” Oh my! I thought, climbing weak with hunger. Before they left, Todd and I had gone over their food bags, thinking their lunch looked skimpy and told them so. They decided it was good enough but it wasn’t. The trail had also been re-routed, making them climb a few extra thousand unplanned feet. We went down to meet them with a bag of mint Milano cookies which I doled out evenly. We were all so happy to see one another. And there was much hugging and kissing and reliving stories. The kids piled into the back of the pick-up and we raced down the mountain to our campsite and fresh food for dinner and a celebratory soak in the Cottonwood Hot Springs afterwards. They were so grateful to us for helping them. We were so grateful to them for allowing us to help them. Gratitude is a mature virtue and it was radiating out of us all that evening. That evening, there were discussions on me and Todd’s bear encounters over the years- on the AT and the PCT, before kids. When S&E shared their recent snow traversing experience, they asked about our snow traverse history and the two near-fatal falls, we each had. When they shared their racing across ridgetops while the sky opened up in thunder and lighting stories, Sierra marveled how we took her across the exposed ridges as a small child. I sensed a new respect for their parents as Sierra experienced again as adults, what she went through as a child. The next morning Sierra asked if we would walk the ridge with them, get them started and we said, of course. The walk south ended up being the most beautiful stretch on the whole loop. Of course, Todd and I were reminded of how much we love hiking in the mountains. It is our first love, our favorite. Mountain biking the Great Divide Mountain Bike Trail is good- different, fast, the way you can cover ground and interesting, seeing the Great Divide on forest service roads. But it is not better than an intimate hiking trail and it certainly is not better than “Scraping Heaven” on a high ridge walk. When we waved good bye to the kids as they continued on, my heart swelled, thinking, I spawned this child. Who would have thought she would love backpacking so much to CHOOSE to go there for a vacation. Like I said earlier, we don’t need our kids to do what we did, love what we love, but if and when they do, it sure is a supreme thrill and the kind of moments that can melt your heart. It’s an affirmation, that as a parent, you might have done the right thing, focused on what was really important and your kids got it. thank you Nance for reaching out- enjoy this last month of summer. Next A fish, a placenta, a peach tree, a bear, and the returning bees.